Adjust the temperature remotely from your smartphone, tablet or PC, or directly on the Thermostat. Display your consumption history on the App. The Thermostat creates a program creates based on your habits. 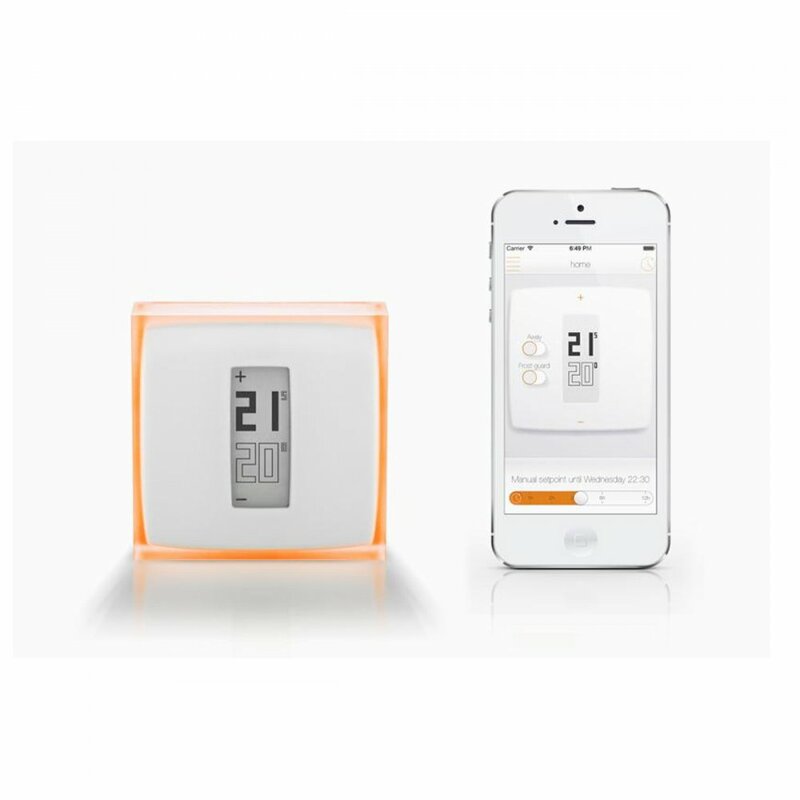 Predicts the start of the heating period depending on your household insulation and the temperature outside. Reduce your energy consumption and carbon footprint by up to 25%, and use heat only when you need it. You receive a personal energy report each month that lets you track your consumption and helps you schedule your heating more effectively. 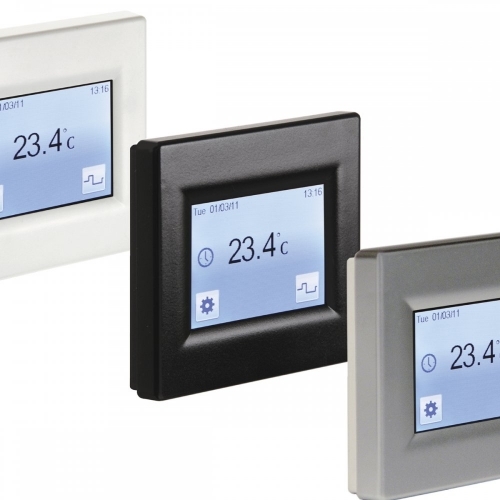 Can replace most wall-mounted and wireless thermostats or can be installed as a new thermostat to regulate your boiler. Install it yourself or use professional installers. From iPod touch (5th generation). E-INK display : Energy efficient, extended range capability and optimum readability. Can be placed on a coffee table or mounted on the wall.